``Amazing how quickly a week can pass. Cowgirl Up was everything we hoped for and an amazing experience. Met a wonderful group of women from all over – 14 of us in all. Loved the cattle drive and the ride to the Canadian border was absolutely gorgeous. Staff at the Bar W is outstanding, Lindsay does an incredible job taking care of all the riding and activity details – Alex, Kate, and Moncia were a few favorite wranglers are so friendly and willing to help in any way possible. Food was great! Hope to be back for another Cowgirl Up.`` - Deborah, Sonja, & Robin CA, MN, & GA. 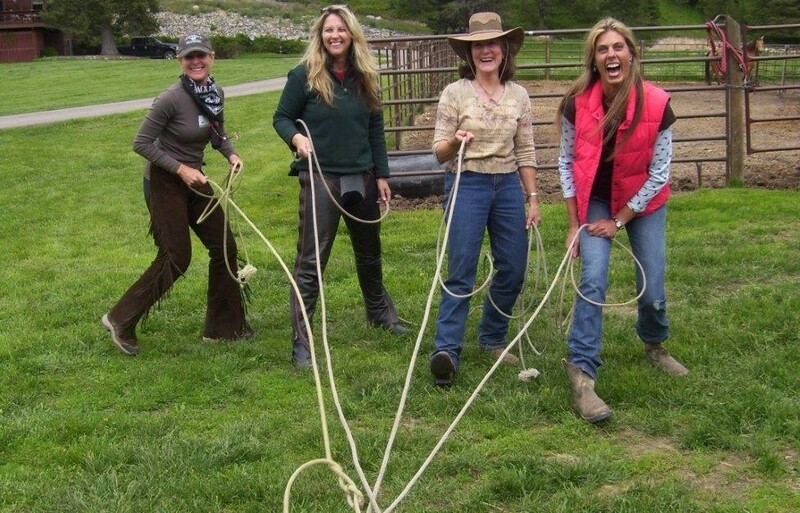 The Bar W is offering an all inclusive package for women to “Cowgirl Up” with their best friends, sisters and daughters to enjoy the camaraderie as the “girls” take over the Ranch. This package combines the splendor of nature with western hospitality to offer a true Montana retreat to renew and refresh. 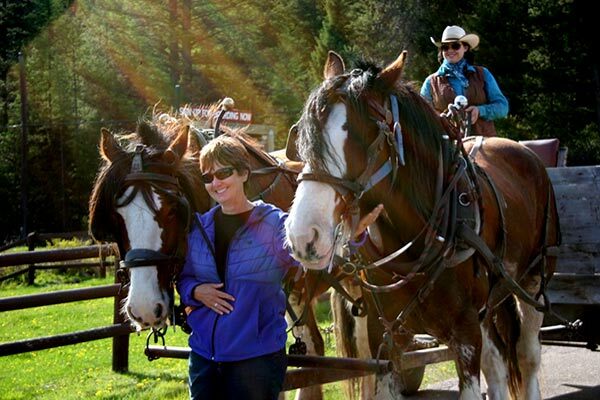 Explore Montana’s spectacular scenery by horseback. Relax, have fun, and let your stress evaporate into the fresh mountain air. Explore the mountainous terrain surrounding the Ranch and open meadows of Swisher Lake. Guests can saddle up and enjoy thousands of acres of Montana wilderness on horseback or enjoy arena activities including barrel racing, cow sorting, or horsemanship lessons. Just when you think life doesn’t get any better, you’ll kick off your shoes for an afternoon at the spa. After a full day of riding, fishing, or hiking, wind down and enjoy a private vintner’s presentation and a hearty, Montana style meal. Ladies also have the option to saddle up for a western tradition, a full day cattle drive. This once in a lifetime experience takes place East of the ranch on the open range. Round up and push cattle while soaking in panoramic views of a mountain backdrop. You’ll think you are in a postcard! This special package combines nature’s simplicity with western informality and provides you with a true Montana retreat to refuel your spirit. The perfect week-long adventure for solo travelers, small groups, or close friends. It’s your week, ladies. Prices do not include tax, a 13% ranch fee, or additional gratuity. Cowgirl Up! 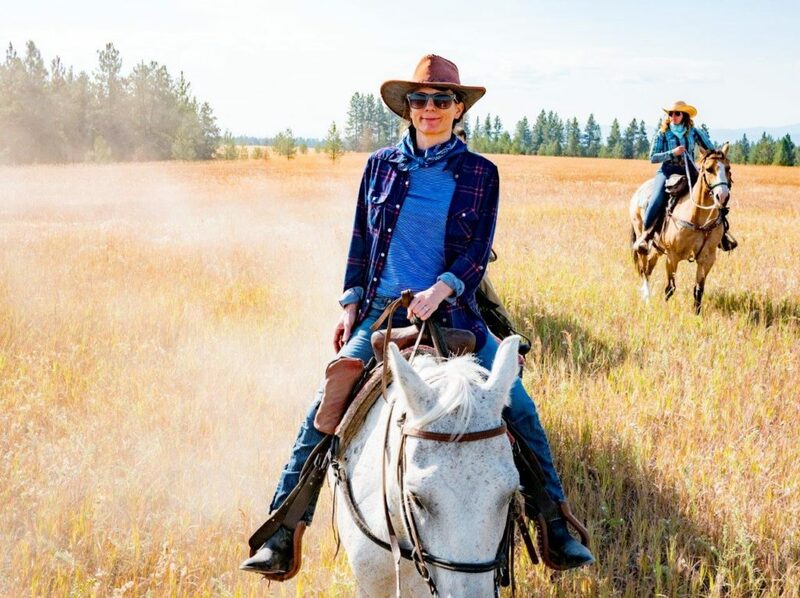 is an all-inclusive woman’s adventure package providing a true western experience while being surround by the beauty of Montana. Explore thousands of acres of trails, learn horsemanship skills, work cattle, or simply kick back relax and let Montana surround you. or just sit back relax and let Montana Surround you.